To create a Mr & Mrs Ferguson art project we need a team that has the patience to see a job to the end, one penny (nickel or dime) at time. 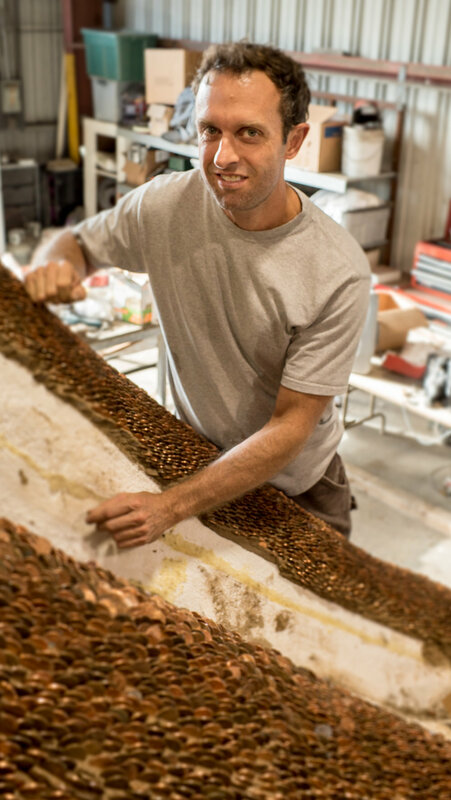 Teams of 4 come in at a time where we can lay thousands of coins onto an art piece. We are immensely grateful to our team of friends who enjoy spending time with us. Our sessions have the feeling of a knitting bee or group meditation. We enjoy each other's company and we love the result of our work.